The 4 Ann Arbor City Council members seeking Mayor John Hieftje's job will participate in a forum in his Ford School of Public Policy class Wednesday. The forum set to begin at 1 in the afternoon in Weill Hall will be open to the public. Hieftje says he doesn't know exactly what the students will be asking Sabra Briere, Sally Hart Petersen, Stephen Kunselman, and Christopher Taylor. According to Hiefjte the class has been following city government all semester so they have a good handle on what's going on in the community. As time allows questions from the audience will also be addressed. The forum will be in the Annenberg Auditorium inside Weill Hall at the corner of State and Hill. Ann Arbor officials expect to have the construction schedule for the rest of the new skatepark set within the next week. Park Planner Amy Kuras thinks the facility will be completed by the scheduled June 21st grand opening unless there are a lot of weather issues. Kuras says most of the remaining work is in two areas. Ann Arbor Park Planner Amy Kuras discusses where work is still needed on the new skatepark. It's still a little over two months before the opening day for the new skatepark in Ann Arbor, but interest in skating already seems to be growing. The skatepark's grand opening is set for June 21st, which is International Go Skating Day. WEMU's Andrew Cluley reports on increasing interest as Ann Arbor's Skatepark is set to open in a little over two months. 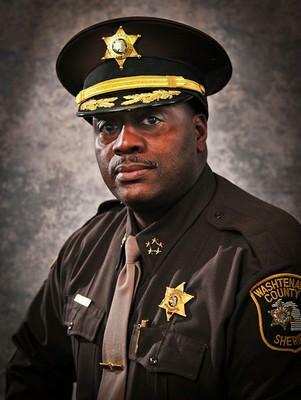 Washtenaw County communities that contract with the Sheriff’s department for policing will likely see one percent increases in their bills in 2016 and 2017. The County Commissioners vote on that proposal this week, but Sheriff Jerry Clayton is calling for a larger conversation on how law enforcement is funded. Clayton doesn’t believe the current model is sustainable. He thinks a county-wide model could be designed to work for communities that contract with his department and those that have their own police departments. Washtenaw County Sheriff Jerry Clayton discusses how a county-wide funding model for policing could work for both communities with their own police department and those that contract for policing from his department.